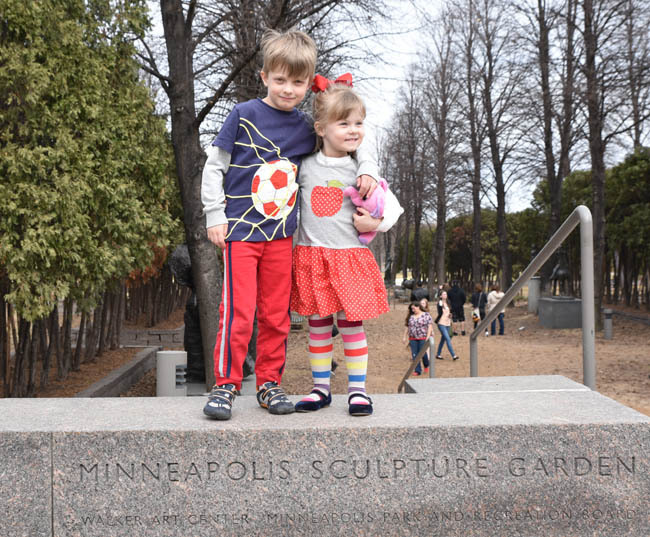 We had a weekend free of birthday parties (which is rare at our kids’ ages, it seems), so we decided to spend a leisurely morning at the Minneapolis Sculpture Garden. 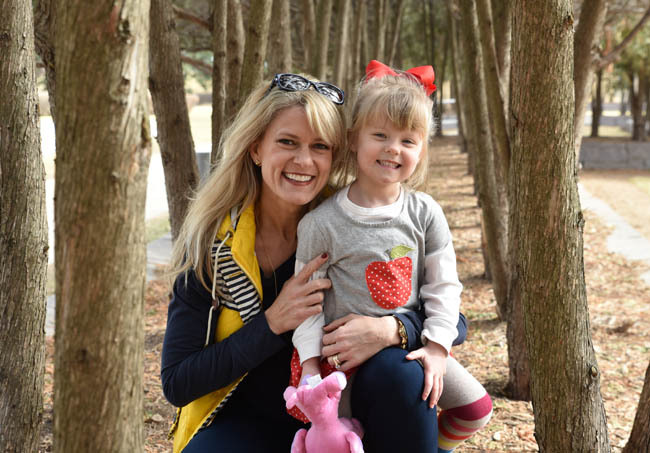 Taylor and Ella used to go to a school nearby so they had the opportunity to visit often, but they haven’t been back since they’ve moved on to new schools. 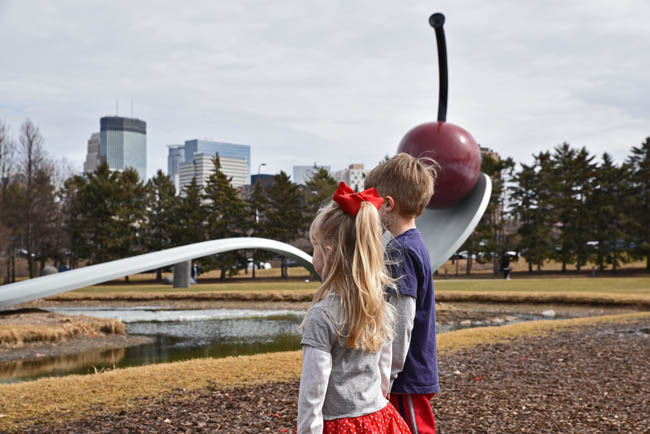 It was fun to see them explore the Garden and watch as certain parts of the grounds sparked their memories (including Tayor telling us that once he fell in the water when looking at the Spoonbridge and Cherry sculpture!). 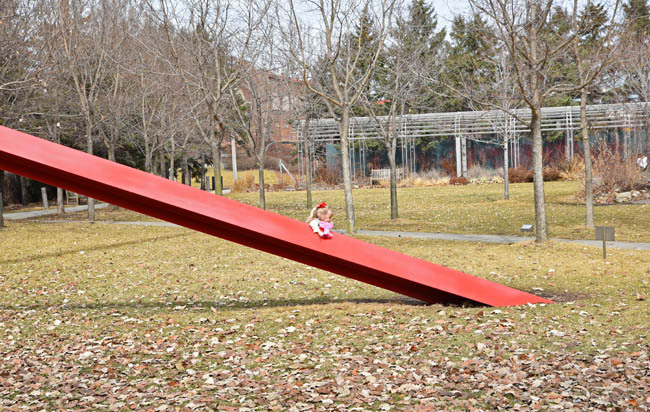 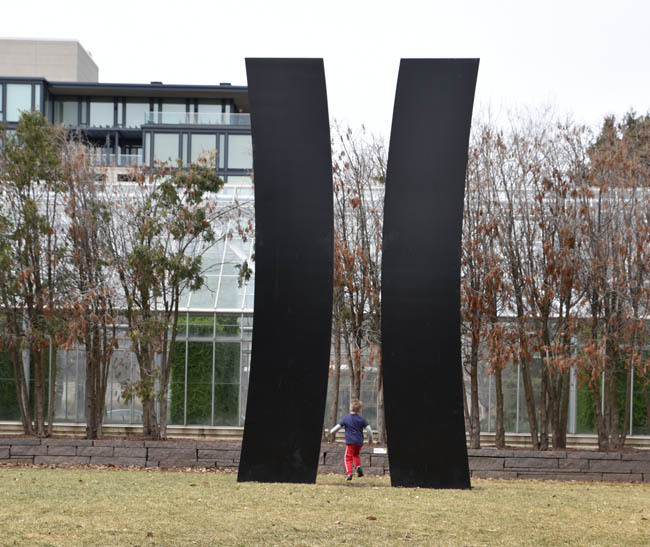 Our apologies, Sculpture Garden – we saw the “Do not climb on the sculpture” sign at the same time we saw Ella using it as a slide. 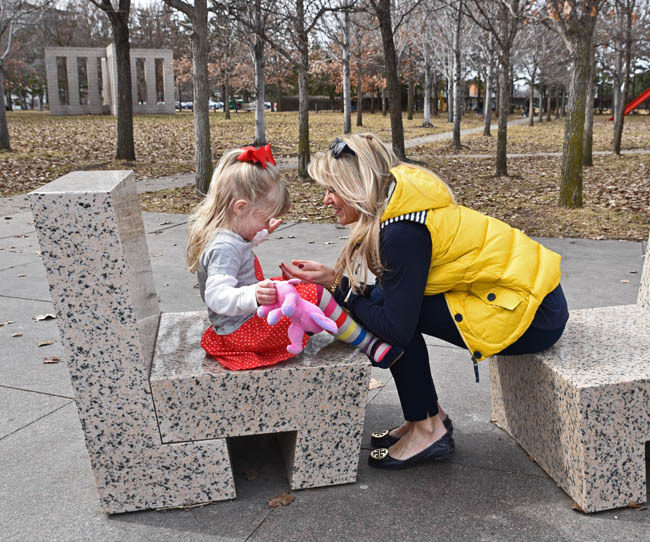 Reality Check. 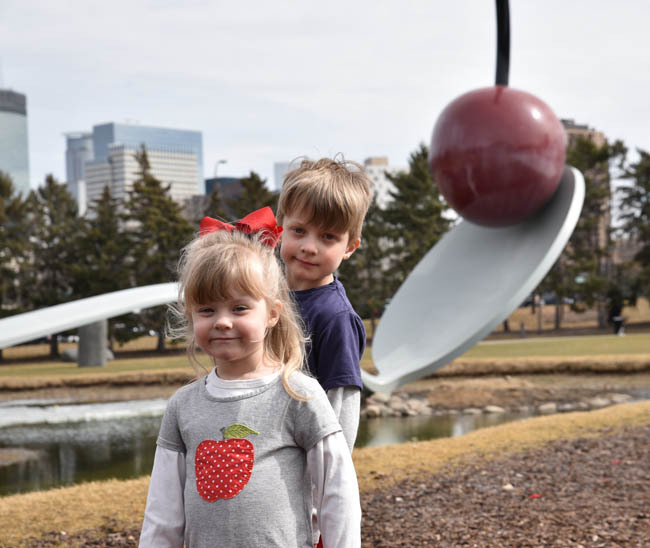 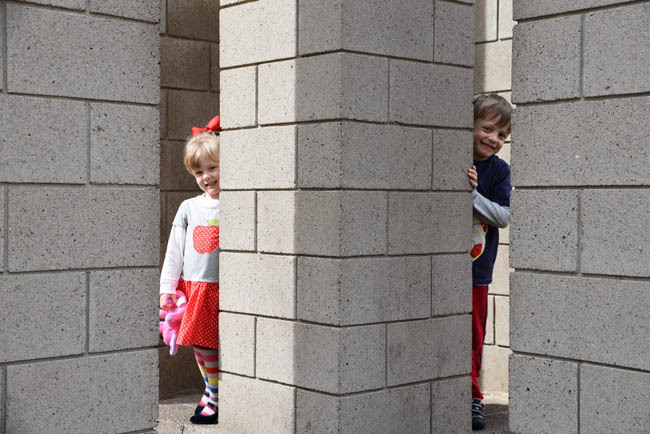 So many more cute pictures that I could have included, but much too much evidence of us forgetting to tell the kids not to climb on the sculptures. 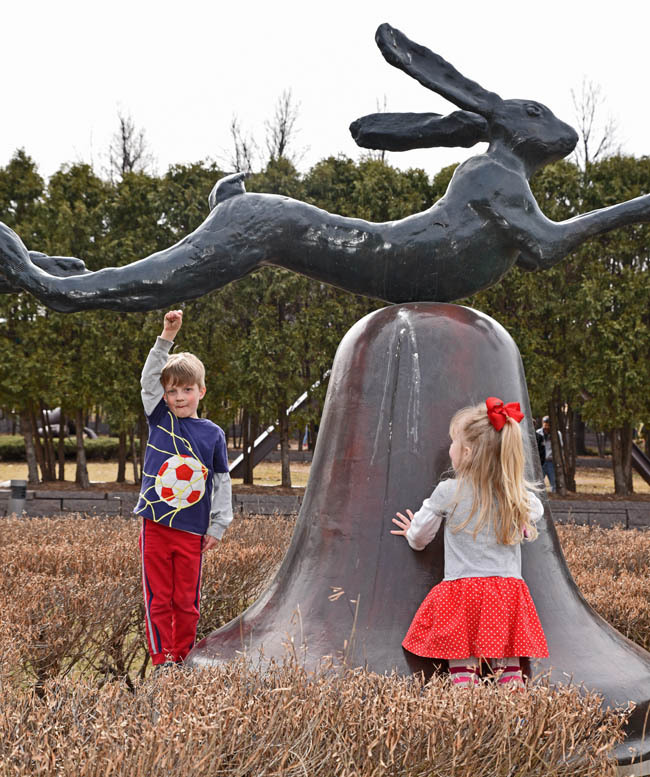 I wish they would build a second sculpture style garden that allows climbing, because even I would like to climb up some of those!